Little office worker. 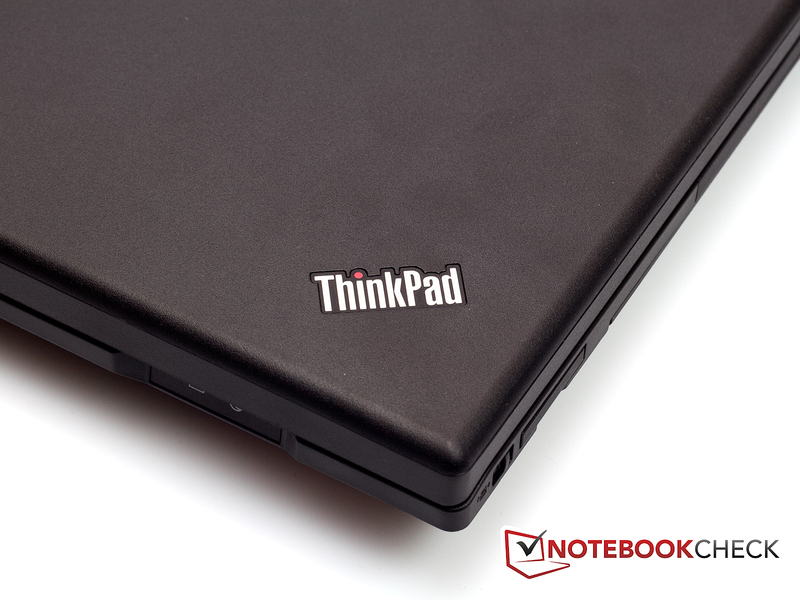 According to Lenovo, it's introducing a notebook that is to save time and money with the ThinkPad L420. 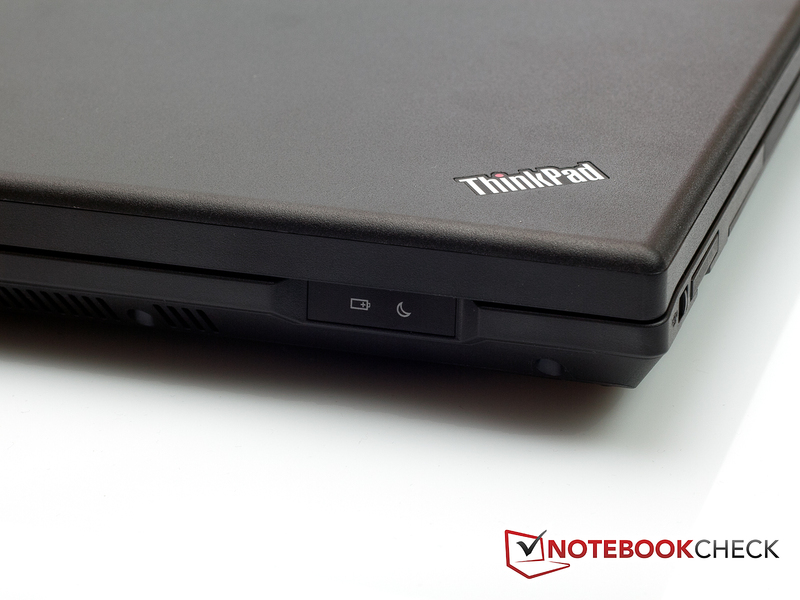 We're putting the ThinkPad L420 with an Intel Core i5-2520M processor through its paces. 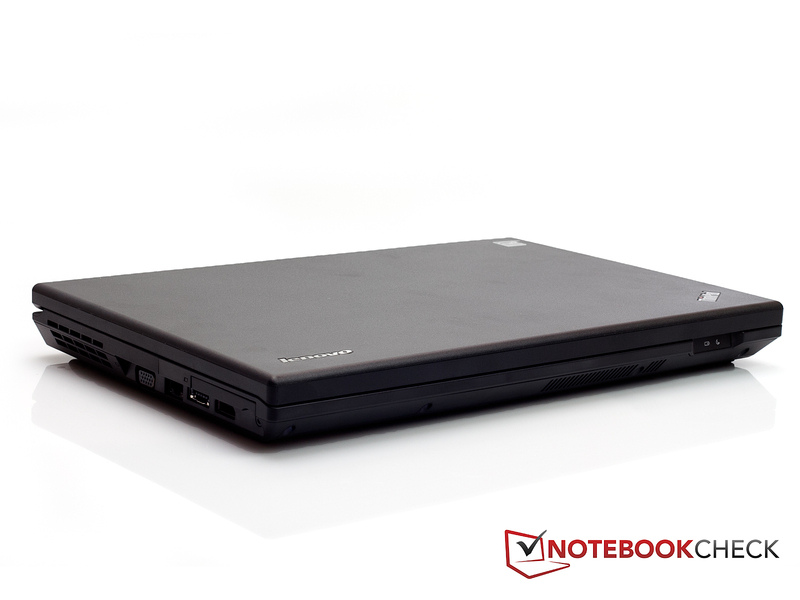 Lenovo provides a low priced entry into the business sector of 14 inch laptops with the ThinkPad L420. The ThinkPad L420 is already available for 664 euros in the smallest configuration. We took a look at the somewhat stronger version for 899 euros. In addition to a faster processor and more RAM capacity, our model also has a UMTS module. The model with the inferior configuration is only UMTS-ready. As appropriate for a ThinkPad, the L420 naturally has a matt display. As expected, exacting requirements are placed on a Lenovo ThinkPad since ThinkPads enjoy a very good reputation in the business sector. 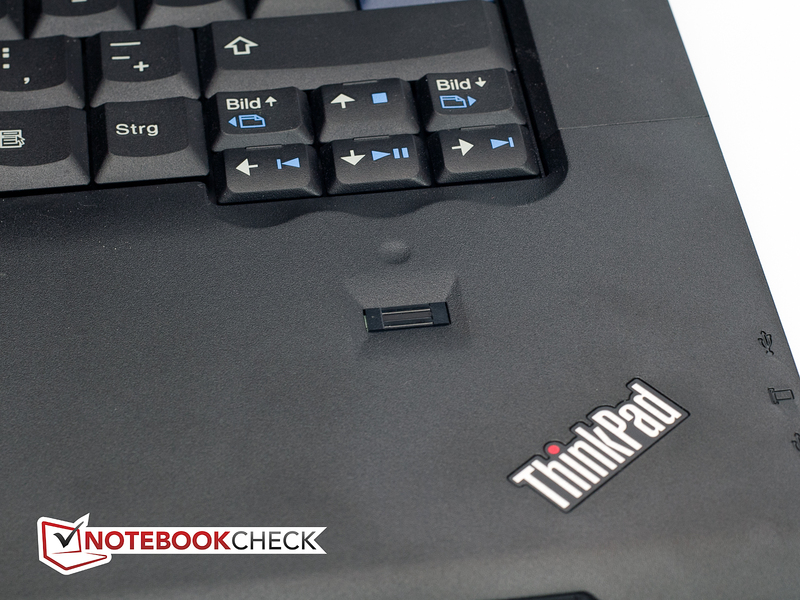 We'll cross-examine the budget ThinkPad L420 thoroughly and see how it fares. The Lenovo ThinkPad L420 has been outfitted in the usual plain ThinkPad case. The angular case's matt surfaces make a solid impression and aren't susceptible for fingerprints. 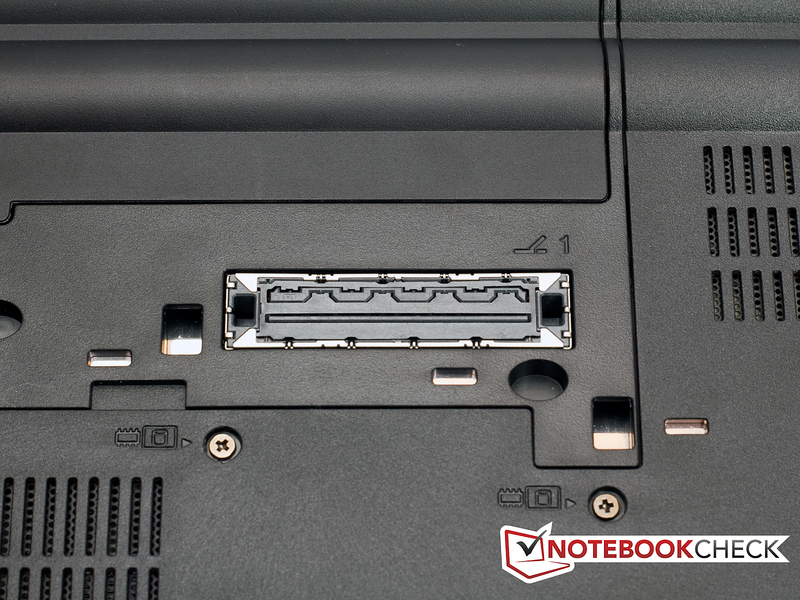 We have previously seen the case in the Lenovo Thinkpad L412 laptop. The design isn't extravagant, but functional. 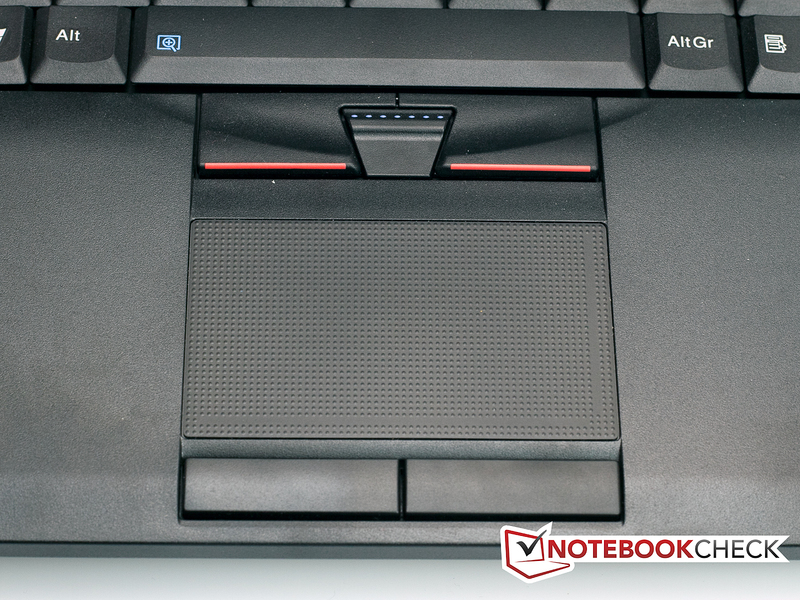 Many users still see the ThinkPad's design as the reference design for office notebooks. Lenovo uses the light clamshell design on the L420. However, the hooks that keep the lid closed have been omitted. The display is joined to the case by metal hinges. The hinges make a very robust and high quality impression. Besides that, they've been adjusted so that the laptop can easily be opened by one hand. Nevertheless, they keep the display firmly in place. Teetering was hardly up to not at all seen. The notebook still proves to be very solid when opened. No matter where we look, matt plastic is used everywhere. The laptop even fares well in our pressure tests. The wrist rests are as stable as wrist rests can get. They don't yield even a millimeter. The keyboard isn't as stable as the rest of the case. However, these are only trivialities. You have to apply a lot of pressure to a key before the keyboard yields. The Lenovo ThinkPad L420 has quite a bit to offer in terms of connectivity. Four USB ports are installed and even more ports can be routed to the outside via the docking station. Unfortunately, Lenovo doesn't install any USB 3.0 ports. In return, there is at least an eSATA port (combined with a USB 2.0). Thus, external hard disks can be connected quickly to the laptop. As usual, an analog VGA out is available for video output. 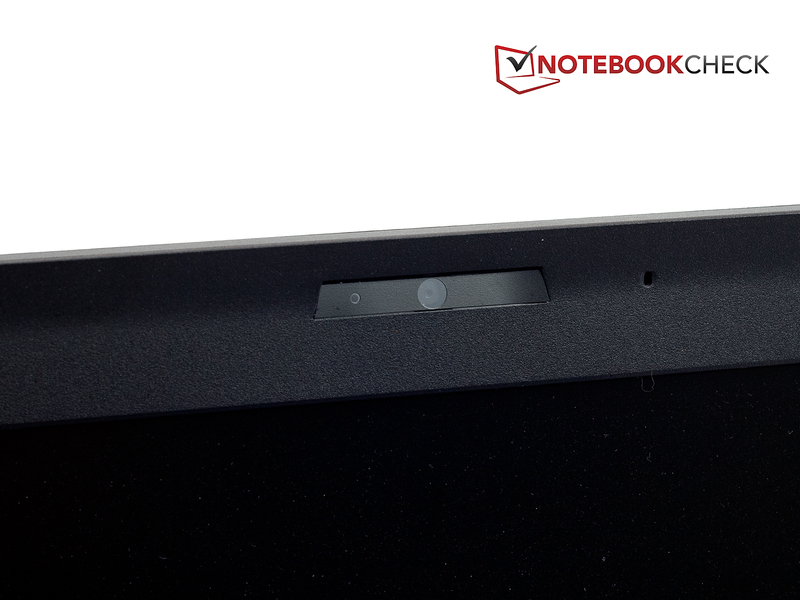 However, Lenovo also additionally builds in a display port. If you don't have a display or projector with a display port interface, you'll have to additionally buy an adapter. We have to especially mention the ports on the left critically in terms of port placement. Left-handers won't feel very comfortable with a connected network cable and external monitor, if an external mouse is used. You should take a closer look at the available docking stations if you'd like to largely prevent a cable mess on your desk. They naturally present the perfect solution for a cleaned up desk. 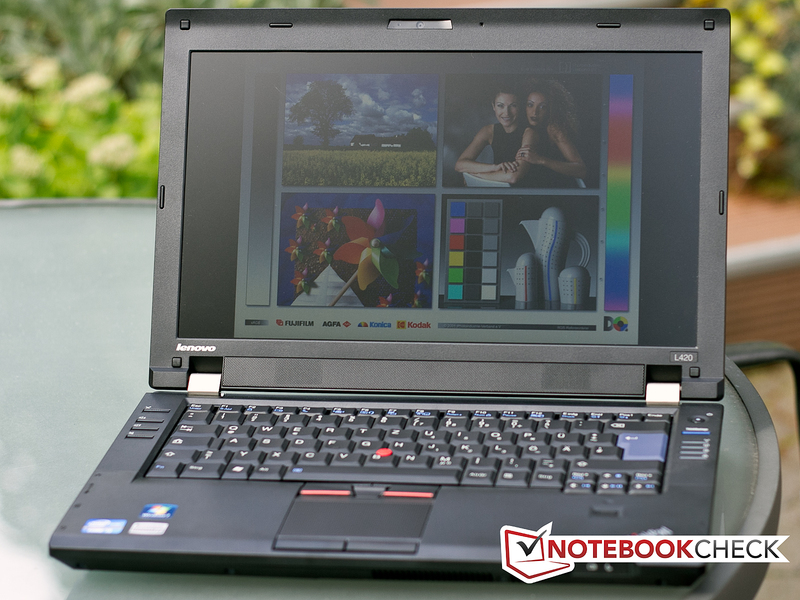 The Lenovo ThinkPad L420 really offers everything that you could want. A Realtek PCIe GBE Family Controller takes care of wired connections. It also bids Gigabit Ethernet in addition to 10 Mbit/s and 100 Mbit/s. The user has considerably more options available on the wireless side. Starting with Bluetooth 3.0+HS that helps connect wireless mice, keyboards and the like to the notebook. It goes on with WLAN and UMTS. An Intel Centrino Advanced N 6205 card takes care of WLAN standard 802.11 b/g/n. If you'd prefer to be completely untied and independent of WLANs, you can use the installed UMTS card. It enables you to go on the Internet almost always and isn't dependent on WLANs or LANs. 7 Mbps should theoretically be possible with the F5521gw Mobile Broadband card. However, you have to watch out when buying the laptop. The smaller notebook configurations are only UMTS-ready and the card has to be bought additionally. The required antennas and cables are ready at any rate. Besides the Kensington lock to "leash" the laptop securely, there is also a fingerprint reader that protects the device from unauthorized access. A spill-proof keyboard, including drains, prevents the hardware from taking damage caused by spilled liquids. The scope of delivery is regrettably not very lavish. There's nothing in the box aside the laptop, battery, adapter and a few documents. The media to restore the notebook are copied on an extra partition of the HDD. 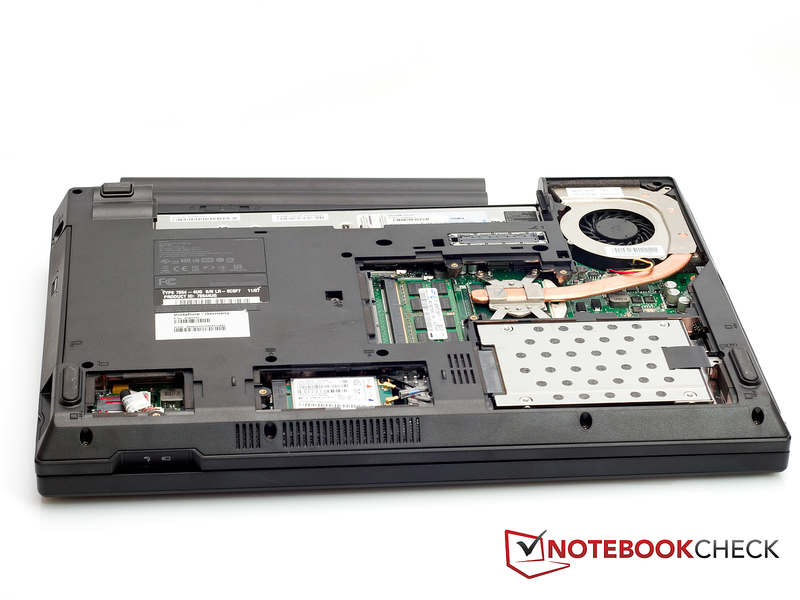 The Lenovo ThinkPad L420 comes with a one year basic warranty. It can also be extended if required. The warranty can be extended to 3 or 4 years. The buyer also buys an onsite service and a faster response time with the warranty extension. Thus, the extension should ensure help on the next business day. Almost 50 programs are installed on the Lenovo ThinkPad L420. However, they are usually really useful programs that even bid the user added value. For example, the ThinkVantage Toolbox facilitates a system check or updating drivers. A lot of value is always placed on keyboard and mouse in ThinkPads and the L420 isn't an exception. 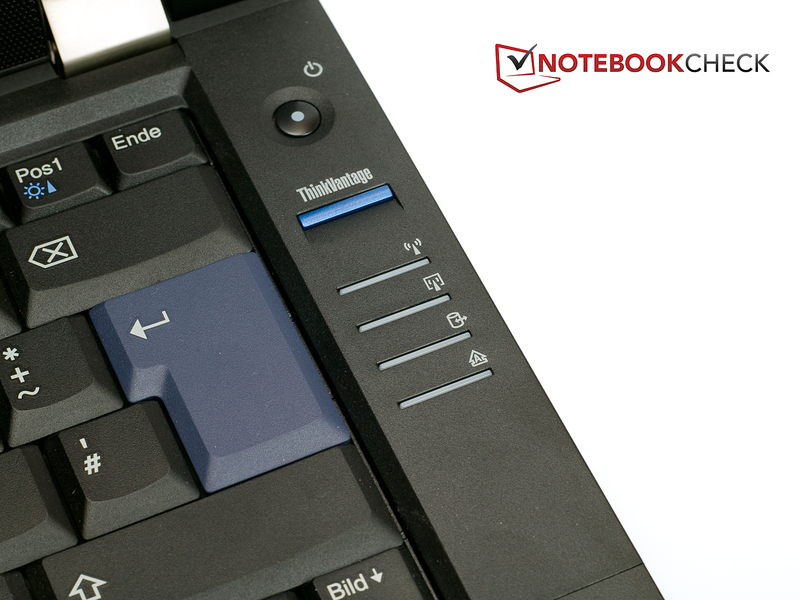 The 14 inch laptop is delivered with 19x19 millimeter keys. That is very big for a notebook of this size considering the keys have the dimensions of a standard desktop keyboard. However, the key size has been paid for by the omission of a number pad. The keyboard can really score with its typing feel and prolific typists will be happy with the keyboard. The pressure point and key drop have been selected very adequately and the concave keys convey a pleasant typing experience. A few hot keys are located on the keyboard's right and left. While the buttons for volume control are on the left, the ThinkVantage button and status indicators are on the right. The ThinkVantage Toolbox is behind the ThinkVantage button. It enables you to check the system's status or download driver updates. 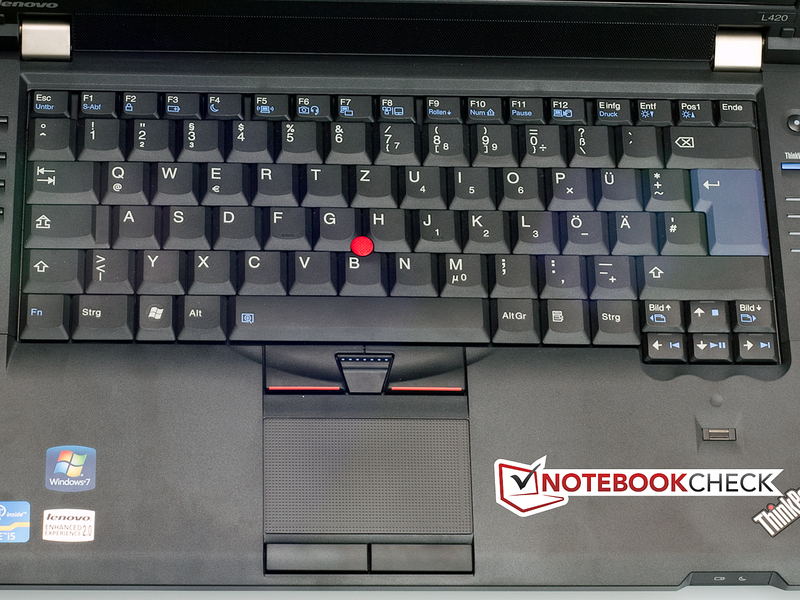 Besides the conventional touchpad, the ThinkPad L420 has a Trackpoint in the center of the keyboard, as it's tradition for a ThinkPad. The touchpad isn't very big. It has a diagonal of 87 millimeters (75 millimeters x 45 millimeters). The touchpad is made of a dot-textured surface which clearly delimits it from the rest of the wrist rest haptically. The surface has good gliding traits and allows precise navigation. Multi-touch gestures aren't a problem, either. Two scroll bars also allow scrolling without multi-touch. Both mouse keys beneath the touchpad are located on the beveled wrist rest area, which is a bit unusual. They are very smooth in use and hardly emit an audible signal. They respond perfectly over the entire area. The reason why the touchpad has turned out so small is likely the red Trackpoint. Although the Trackpoint is in the middle of the keyboard, it has been given separate controls that are directly beneath the keyboard. There is also an extra left and right mouse button. Thus, the touchpad is limited in its size. Working with the Trackpoint will at first be strange for users who have never sat in front of a ThinkPad before. But you quickly get used to the additional input device. A 14 inch display with a resolution of 1366x768 pixels is used. The aspect ratio is, as common nowadays, 16:9. Lenovo fortunately uses a matt screen. Thus, nothing should stand in the way of outdoor use if the display's brightness is adequate. According to our measurements, the average display brightness is 196.9 cd/m2. 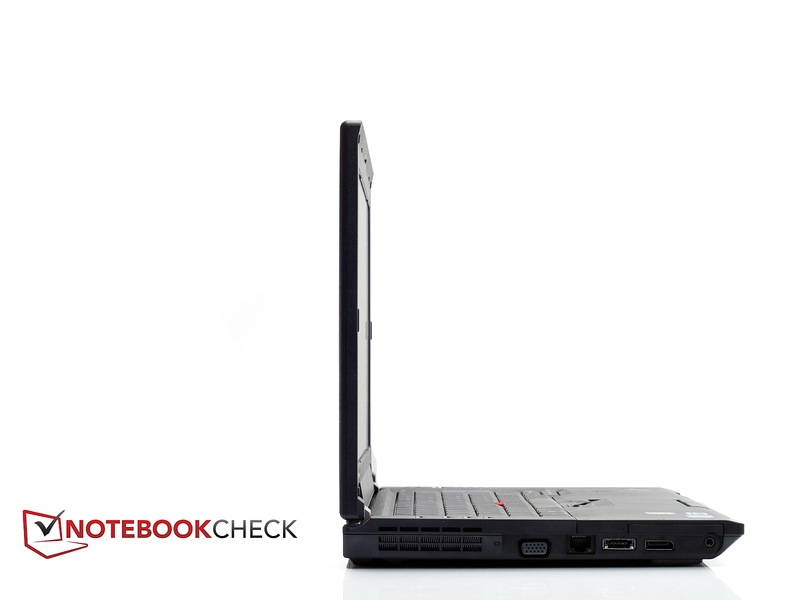 Compared to other notebooks currently available on the market, the ThinkPad L420 can't score here. Even considerably cheaper laptops can often take the hurdle of 200 cd/m2. The screen's illumination could also be a bit more homogeneous. 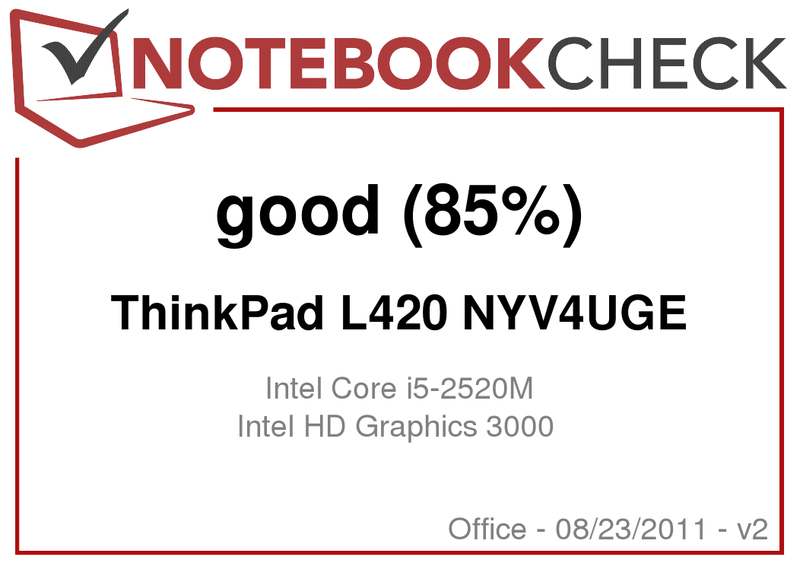 It's rather mediocre in the ThinkPad L420 with 83 percent. But these brightness deviations on the screen can't be seen with the naked eye. The display can't score with its black value and the resulting contrast, either. The black value of 1.36 cd/m2 is clearly too high. Normally, black values less than 1.0 cd/m2 would be desirable. The contrast also suffers due to the high black value. It is only 157:1 in the ThinkPad L420 and has to also be called mediocre. It should at latest become evident that Lenovo hasn't installed an especially high quality screen in the color reproduction. 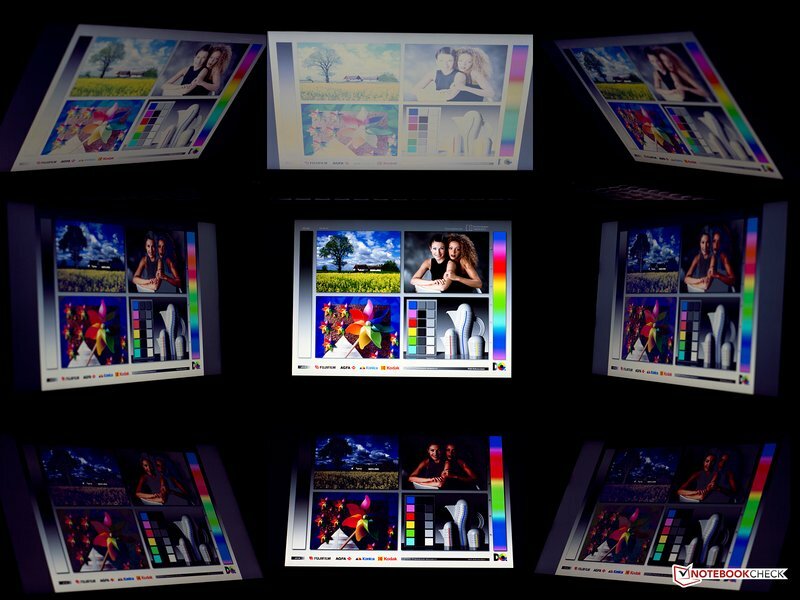 The Lenovo ThinkPad L420's screen can only reproduce a small part of the sRGB color space. The laptop's application field is definitely office and not professional picture editing. 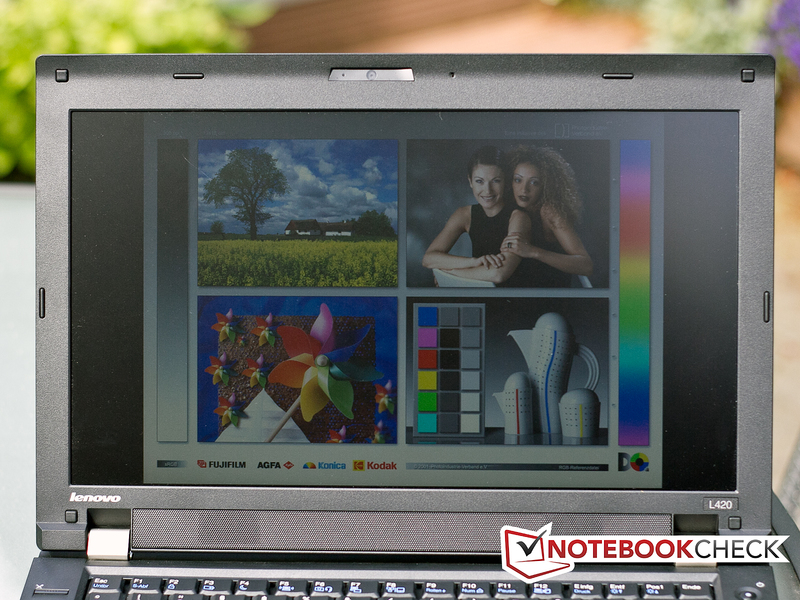 The Lenovo ThinkPad L420's screen fares well in outdoor use. The matt surface is beneficial for the displayed content's legibility. It's even possible to recognize something on the screen in direct sunlight. Nevertheless, a slightly higher display brightness would have been nice. The viewing angles unfortunately can't convince us. When looking at the laptop from the front, you can even stand in front of the display with several people and see the picture perfectly. However, the picture falsifies quickly when the display is tilted up or down. 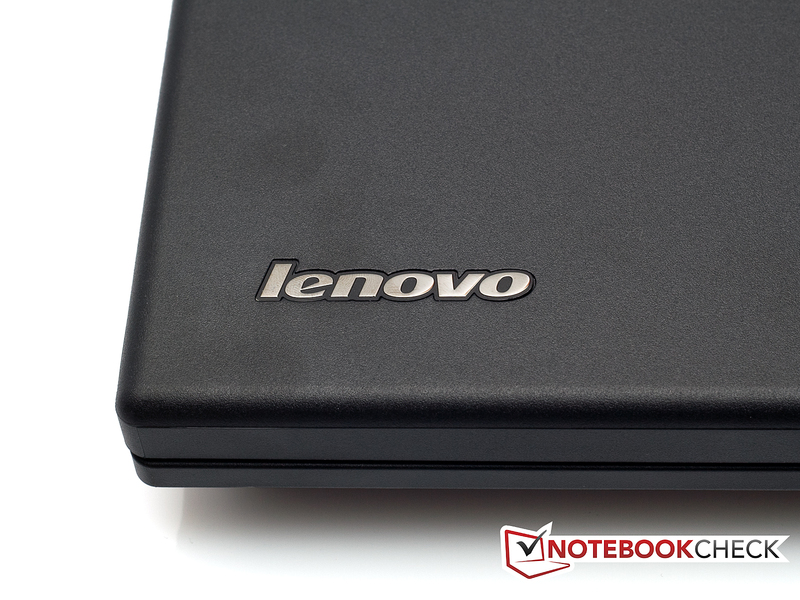 Lenovo equips the small 14 inch notebook with a strong Intel Core i5-2520M processor. After all, the 2520M belongs to the high-end dual core processor in Intel's range. The 2520M processor is a member of the latest Sandy Bridge family and thus benefits from a few improvements in comparison to the previous generation. The 2520M processor has a default clock of 2.5 GHz. It can, alike most other Sandy Bridge processor, be overclocked in two steps. The clock is up to 3.0 GHz per core when both processor cores are put under load. The clock even increases up to 3.2 GHz when only one core is loaded. 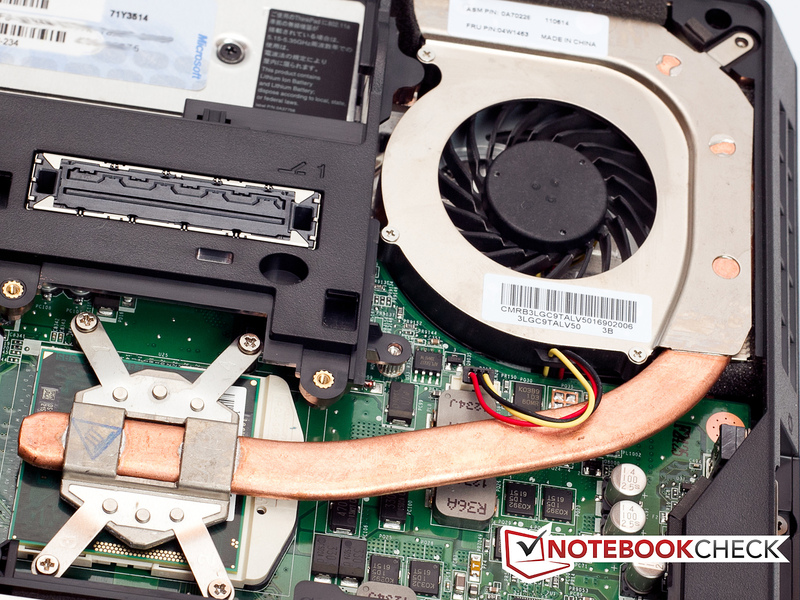 Thus, the processor can supply quite a bit more power in cases of performance bottlenecks - provided the notebook manufacturer has planned this and provides sufficient cooling. The 2520M's performance is even quite sufficient for more demanding tasks, such as HD video editing. The processor also has speed advantages in contrast to a few slower clocked quad core processors, provided that only 1-2 cores are loaded in the quad core processor. The Intel i5-2520M also brings along a graphics card for the system right away. The Intel HD Graphics 3000 graphics card is embedded into the processor and ensures that an image is displayed on the Lenovo ThinkPad L420's screen. The Intel Graphics 3000 card most certainly doesn't belong to the fastest graphic solutions, but it can definitely compete with a few entry-level cards, such as Nvidia's GeForce 310M. Although the Lenovo ThinkPad L420 will likely only be used for gaming in the odd cases, older games aren't a problem for the graphics card. Even a few newer games can be displayed smoothly in low details and low resolutions (Fifa 11, etc.). The graphics card is however actually sooner designed for basic tasks in Office environment. The program Cinebench is again used for assessing the Lenovo ThinkPad L420's processor performance. The Lenovo ThinkPad L420 achieves a score of 4750.0 points in Cinebench R10 single rendering (64 bit). Thus, it can take a place quite far up in our benchmark chart. However, it is sooner the back marker compared with other laptops that use the Intel Core i5-2520M. The Lenovo ThinkPad L420 doesn't look as good when compared with the Toshiba Tecra R840-11E (2520M, HD Graphics 3000) with 5135.0 points. HWInfo64 indicated clock rates of up to 3.2 GHz for a short time only at the beginning of the test. Subsequently, the clock was reduced to 2.8 GHz, so turbo couldn't be fully exploited here. This should also explain the moderate scores in this test. The Lenovo ThinkPad L420 could regain a bit of ground again in the Cinebench R10 multi rendering (64bit) benchmark. It could leave the last place and the gap to the top ranked laptop with an i5-2520M has shrunk evidently. The ThinkPad L420 notebook now manages 10540.0 points. 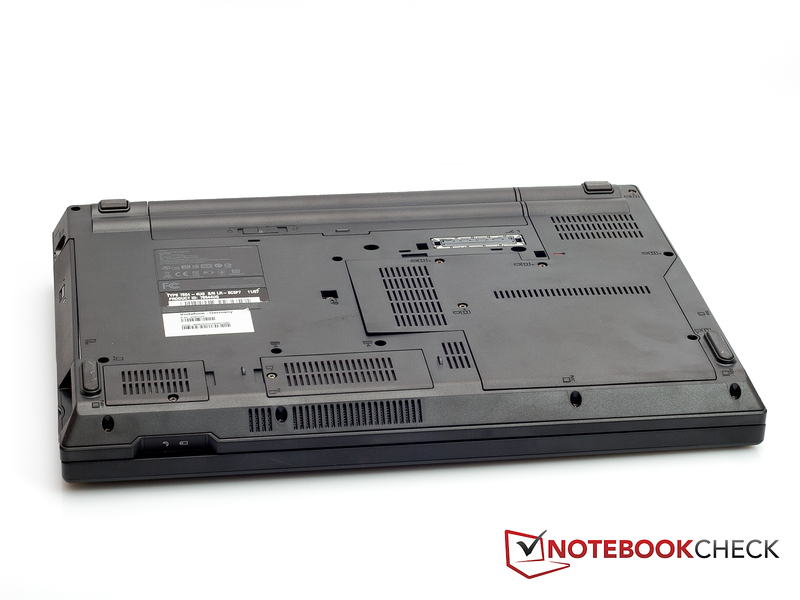 The top rated 2520M laptop is the Dell Vostro 3550 (Vostro 0112) (2520M, HD 6630M) with 10797.0 points. We noticed a few particularities during the test. It seems Turbo Boost doesn't work properly when the laptop is used without the battery, so AC mode only. The above listed benchmarks were all executed with battery and power adapter. The Lenovo ThinkPad L420 only reached 1323.0 points in the Cinebench R10 single rendering benchmark (previously 4750.0 points) and 2915.0 points in multi rendering (previously 10540.0 points) without the battery. A considerable performance loss is noticed here. Interestingly, the performance loss doesn't turn up in the opposite scenario. The processor again delivers the power that it supplies with battery and adapter in battery mode. In comparison, the L420's predecessor Lenovo ThinkPad L412 (330M, Intel GMA), achieved 1923.0 points in Cinebench R10 single rendering (64bit) and 6537.0 points in Cinebench R10 multi rendering (64bit). The ThinkPad L420 is indisputably the winner and could almost double its performance. 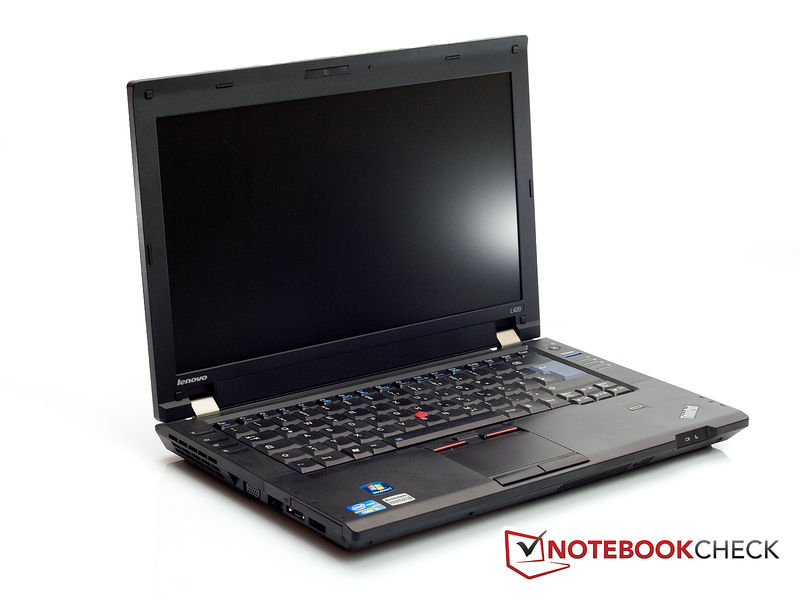 The ThinkPad L420 achieved 6601.0 points in our system benchmark, PCMark Vantage. Thus, it's in the upper third of our benchmark chart. 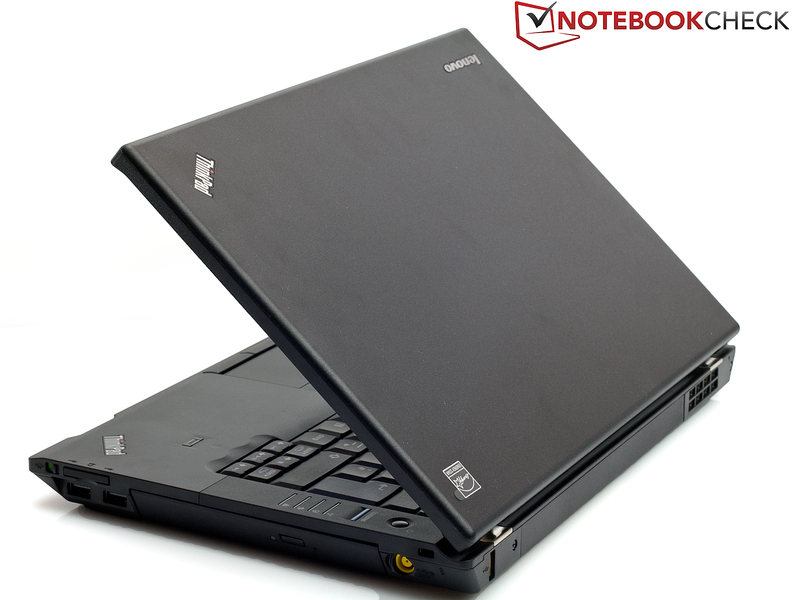 It's slightly above laptops, such as the Lenovo ThinkPad Edge E420 (2410M, HD 6630M) with 6556.0 points. Looked at in detail, the rating could be even better, but the hard disk slows things down a bit. If you'd like to treat your system to something special, you might consider exchanging the HDD for a faster model or maybe even an SSD drive. The problem with the battery is noticed here again. The PCMark Vantage benchmark score drops from 6601.0 points to 2977.0 points when only the adapter is used and the battery is removed. Not much can be expected from the Intel HD Graphics 3000 card. Nevertheless, we dare to make a comparison. We used the results from the 3D Mark 06 Benchmark (1280x1024) as the basis. The Lenovo ThinkPad L420 laptop rests far at the bottom of our benchmark chart with 2528.0 points. 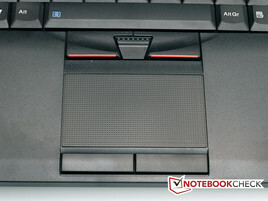 The ThinkPad L420 is again the back marker. It is currently the slowest laptop with an Intel HD Graphics 3000 graphics card. 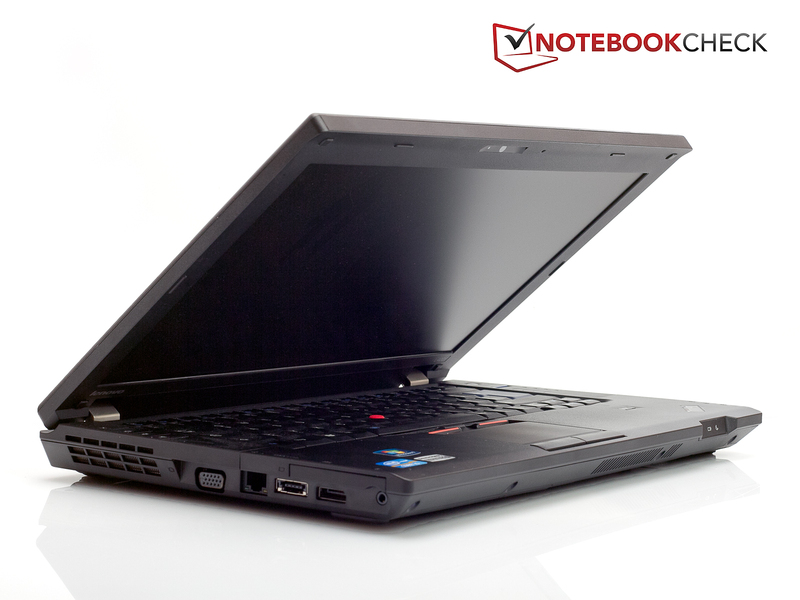 The next fastest notebook is the Lenovo ThinkPad L520 NWB53GE (2310M, HD Graphics 3000) with 2999.0 points. 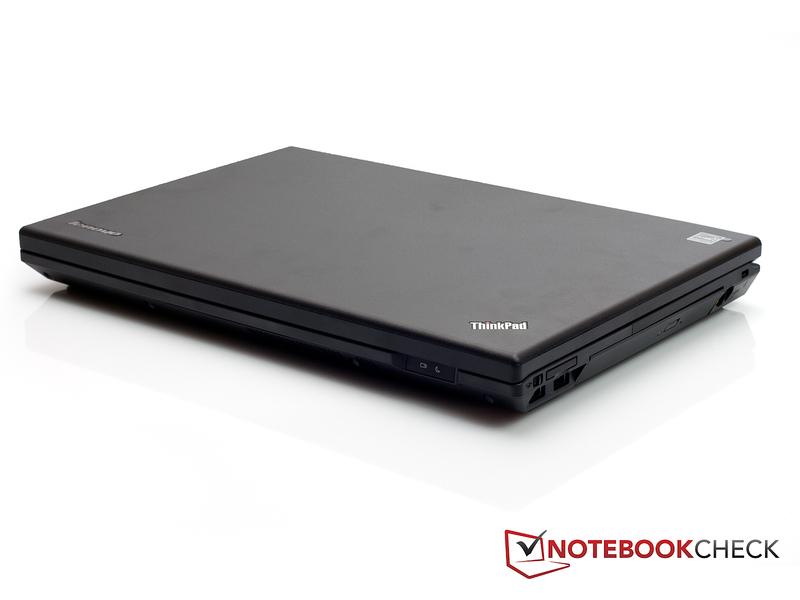 In comparison: One of the top notebooks with an Intel HD Graphics 3000 graphics card is currently the Packard Bell EasyNote TS11-HR-040UK (2410M, HD Graphics 3000) with 4607.0 points. That is a very clear difference. The Lenovo ThinkPad L420 can also beat its predecessor with the graphics card. While the ThinkPad L420 achieves 2528.0 points in 3DMark06, the ThinkPad L412 (330M, Intel GMA) only managed 1312.0 points. A possible reason would be, as in Cinebench's single CPU test, an only partial exploitation of the Turbo bandwidth during load since the 2520M's graphics unit can also be overclocked dynamically. By the way, the battery problem seen in the other areas wasn't noticed in the graphic benchmarks. No matter if with or without battery, the rates all stayed within the same range. 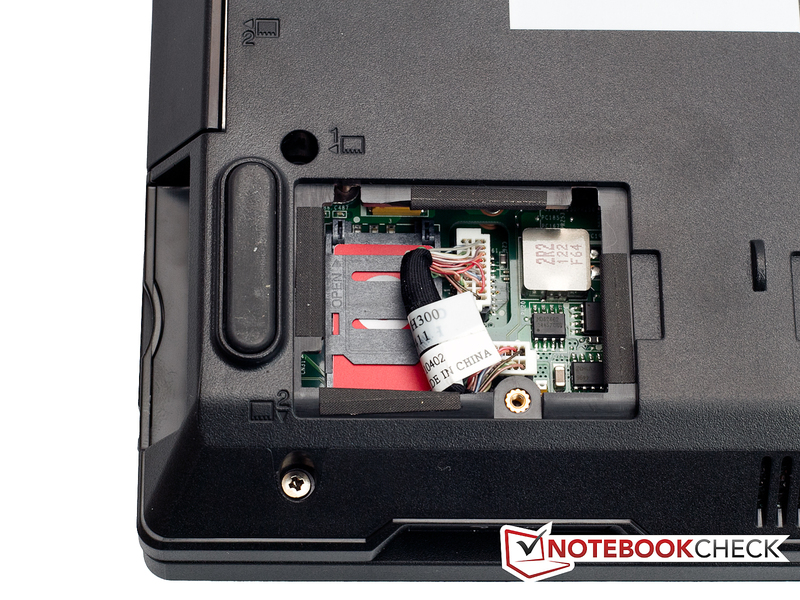 A 2.5 inch model from Western Digital is used as the hard disk in the Lenovo ThinkPad L420. The WDC WD3200BEVT-08A23T1 has a (gross) capacity of 320 GB and a speed of 5400 rpm revolutions per minute. The hard disk can't convince in view of the rates. An average transfer rate of 70.2 MB/s is at most mediocre and even the maximum transfer rate of 89.1 MB/s isn't satisfactory. In return, the access time of 18.9 milliseconds is acceptable. 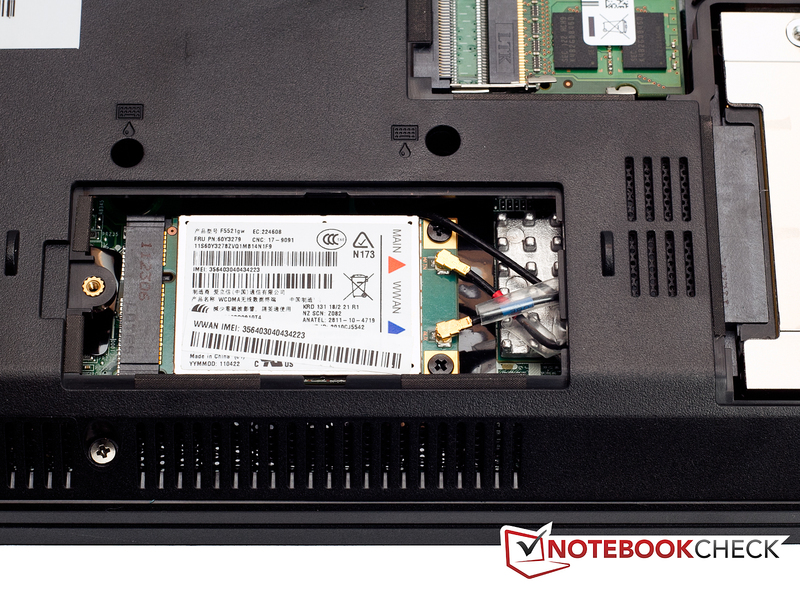 If you want to wisely upgrade your system, you'll preferably start with the Lenovo ThinkPad L420's hard disk. 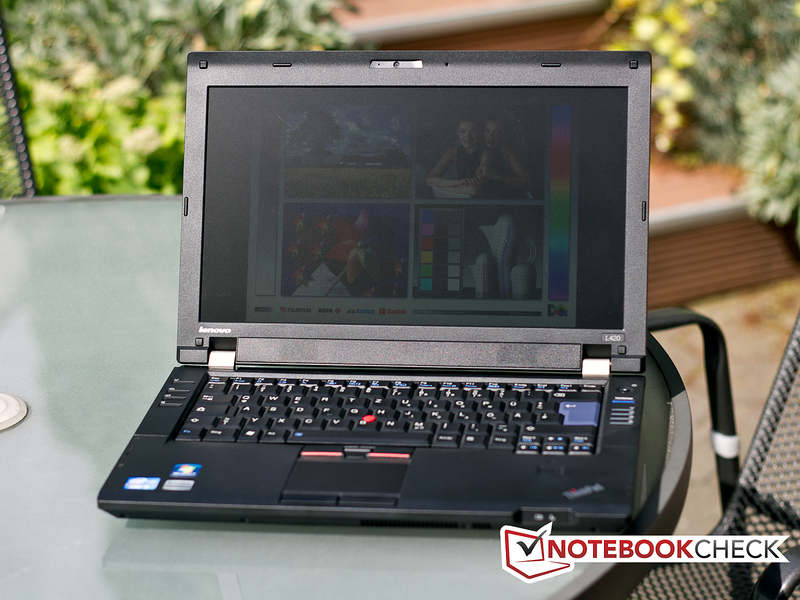 The Lenovo ThinkPad L420 is quite restrained in terms of noise. The noise level is 28.3 dB (A) - 34.4 dB (A) in idle and light load. The notebook is hardly heard for the most part. Merely the hard disk's write / read access is occasionally audible. The drive only emits a quiet noise during DVD playback. Fortunately, the drive doesn't load the data very often and thus the DVD drive only infrequently has to get active during playback. The laptop gets a bit louder during high load. The notebook is very audible with a noise level of 37.3 dB (A) - 39.7 dB (A), but still remains below 40 dB (A). There aren't any problems with the Lenovo ThinkPad L420 in idle and low load. The case's top heats up to a maximum of 28.8 degrees Celsius and is thus absolutely within an acceptable range. The wrist rest heats up to 26.6 degrees Celsius (left) and 28.7 degrees Celsius (right). The touchpad achieves a rate of 28.9 degrees Celsius. It doesn't look much different on the case's bottom. It heats up to a maximum of 29.8 degrees Celsius and is thus also within an acceptable range. The temperatures increase during load, but are remote from being critical. The case's top heats up to a maximum of 35.3 degrees Celsius, just above the air outlet. We now measure 32.3 degrees Celsius (left) and 32.2 degrees Celsius (right) at the wrist rest. The touchpad heats up to 34.2 degrees Celsius. The case's bottom clearly heats up more. A maximum of 40.4 degrees Celsius is reached in the area of the vent. This could slowly be getting too warm to use on the lap for some users. However, office laptops are only loaded to full in the rarest cases when used on the lap. 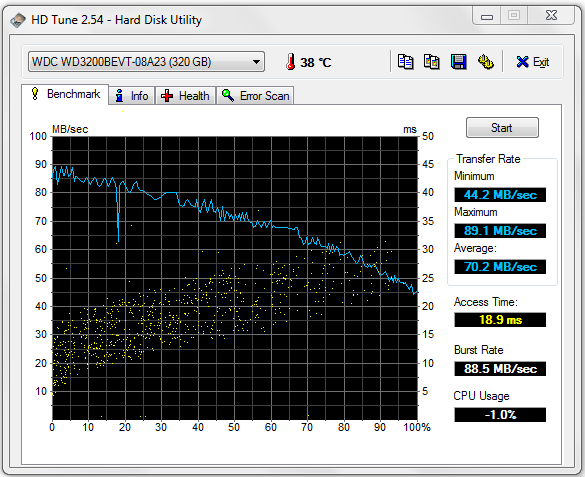 The temperatures didn't cause any problems during full load induced by Prime95 and Furmark, either. The processor remained constant at its default clock of 2.5 GHz even when the components were loaded in the stress test. The processor clocks higher during normal use. (±) The average temperature for the upper side under maximal load is 33.1 °C / 92 F, compared to the average of 29.4 °C / 85 F for the devices in the class Office. (-) The average temperature of the palmrest area of similar devices was 28.2 °C / 82.8 F (-6 °C / -10.8 F). Alike most laptops, the Lenovo L420 shows a few flaws in terms of sound rendering. The sound emitted by both speakers is somewhat thin and tinny due to the lack of basses. However, the maximum volume is acceptable. The given quality is sufficient for occasionally watching a movie or listening to the Internet radio at any rate. 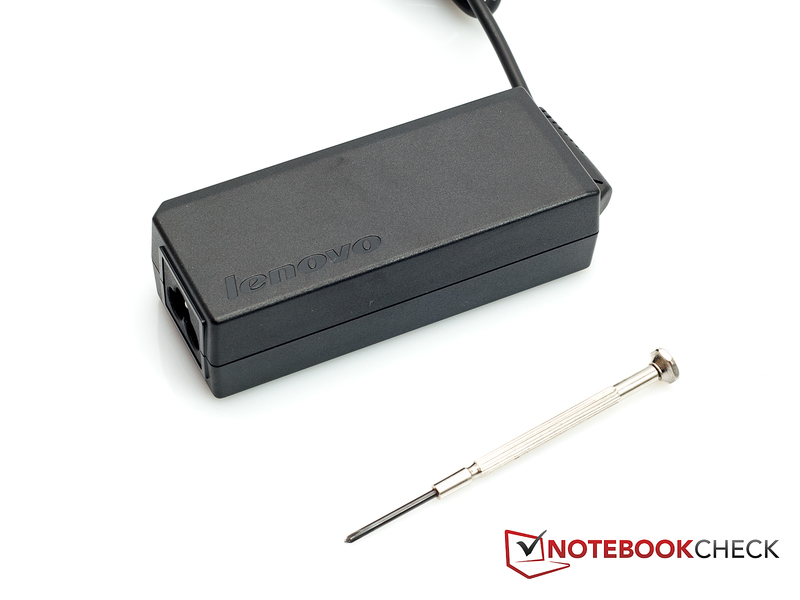 The Lenovo ThinkPad L420's hardware proves to be quite modest in terms of power consumption. The installed hardware has numerous energy saving mechanisms that especially come into effect in low load. Thus, the laptop consumes 8.8 - 13.1 watts in idle or low load. The consumption rates climb to 54.5 - 63.3 watts during load. Thus, the energy requirement is quite close to the adapter's limits. It is only a 65 watt power adapter. The notebook's battery runtimes are basically all right. But you won't manage a whole workday with the included battery. The program BatteryEater was again used for the test. 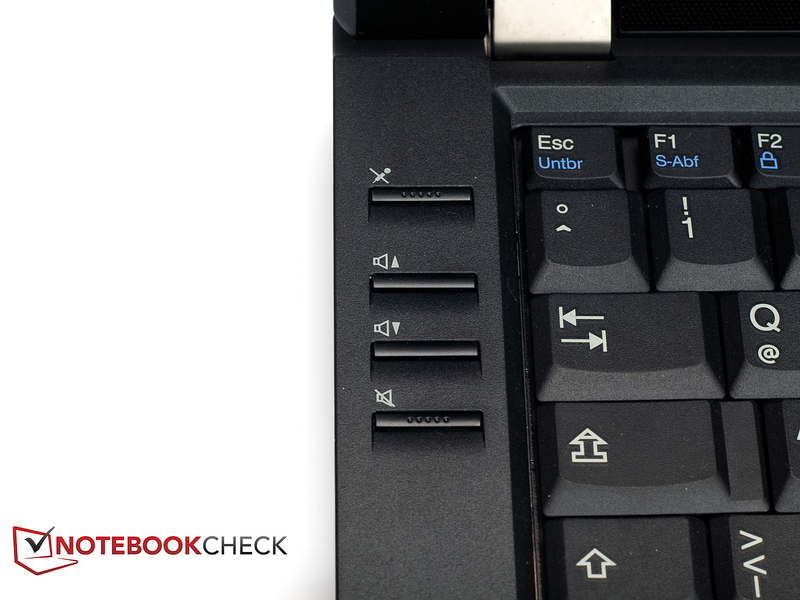 The laptop reached a battery life of 6 hours and 44 minutes in the Reader's test. The settings for this test were minimum display brightness and disabled WLAN. However, the notebook can't be used that way because the screen is so dark that nothing can be seen anymore. The practical WLAN surf test is a bit more expressive. We surf on the Internet (mix) until the battery is drained with medium brightness and enabled WLAN. The laptop still lasts for 4 hours and 36 minutes. The battery runtime decreases to 1 hour and 35 minutes during full load. 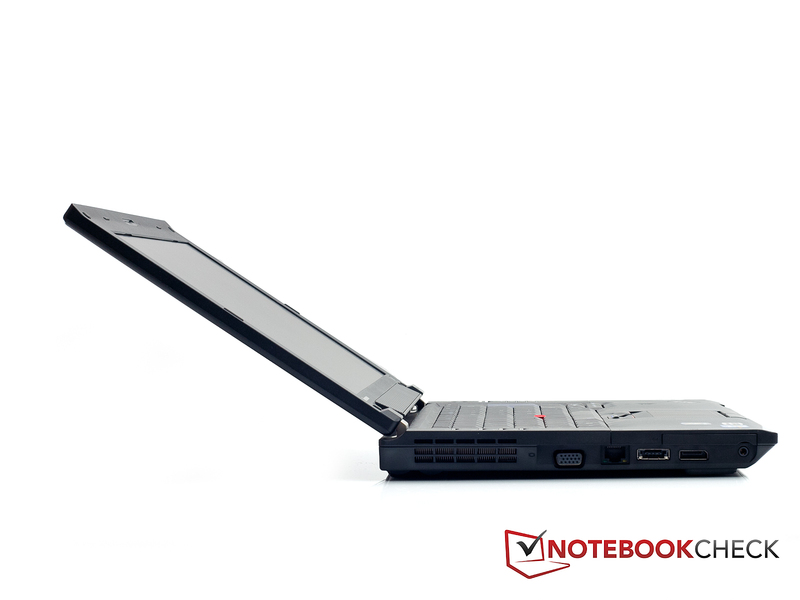 We can very well imagine using the ThinkPad L420 as a tool for daily use after our tests. Especially the good keyboard and the touchpad/Trackpoint combination will appeal to you if you do a lot of writing on a notebook. Even if the laptop's performance isn't as good as other notebooks, the processor's available performance is sufficient for pretty much every task that turns up in the office. It doesn't matter if it's managing a multitude of office documents or making a presentation or even editing a HD movie. The ThinkPad L420 has enough reserves for this. The UMTS module, together with the matt screen, virtually invites you to sit outdoors in the beer garden or park and plan your next presentation there. Unfortunately, it's just the contrast poor screen that ruins the good overall image of the notebook a bit. The contrast of 500:1 advertised by a few retailers is regrettably far from being reached. However, if you are looking for a solid work notebook with ThinkPad qualities and a very good keyboard/touchpad combo, you could be happy with the ThinkPad L420. The webcam in the display bezel. ... 3 covers for the hardware on the bottom. ... as well as RAM, hard disk and processor are accessible. There is also a docking port on the bottom. The 65 watt power adapter is pleasantly small. 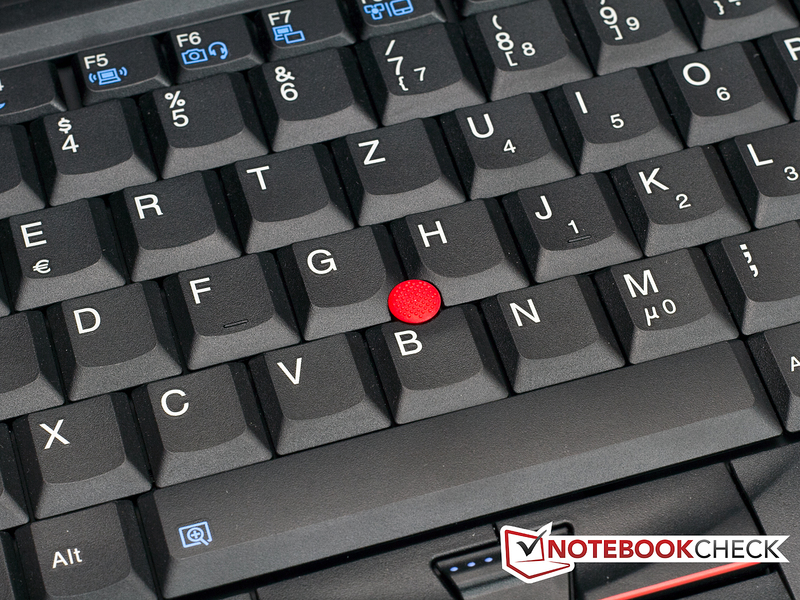 Naturally, the ThinkPad-typical red Trackpoint shouldn't be omitted. The status LEDs are on the right. Clamshell design for the office. ... in terms of big logos. You can easily open the display at this small opening. The ThinkPad L420 shows up well made and plain. It even looks good from the side. The opening angle isn't as good as that of its sister models, but still sufficient. The hinges are made of metal and make a very good impression. A few hot keys are located beside the keyboard. 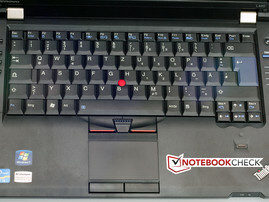 The first rate keyboard that Lenovo installs into its ThinkPads is also one of the L420's big highlights. 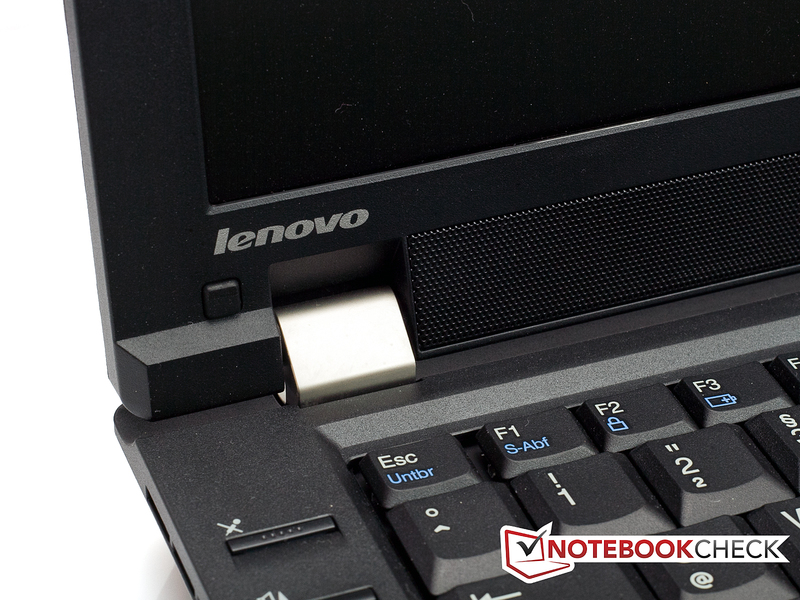 Lenovo has unfortunately not given the laptop a USB 3.0 port. It would have really been a sensible expansion for the ThinkPad L420. The display's poor contrast rates. We would have liked to see somewhat better rates especially in view of outdoor use. HP supplies a serious opponent with the Pro Book 6460b that has similar rates at a similar price. But it's likely a matter of taste. Another opponent comes from Dell as the Latitude E5420 Essential. It doesn't bid as much performance for your money, but has a better battery runtimes and a keyboard backlight. And then there still is a model, naturally, from Lenovo - the ThinkPad T420. 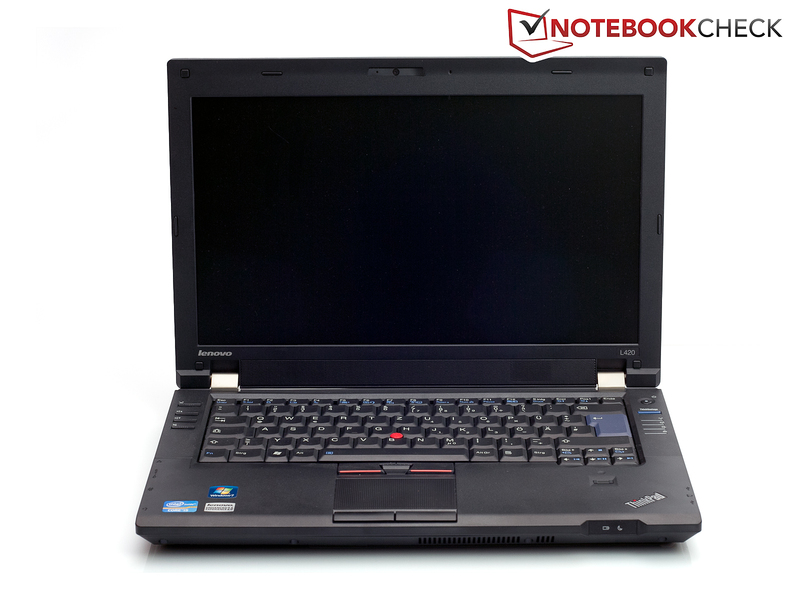 The T420 virtually bursts with power, offers better battery runtimes and an illuminated keyboard. But it also costs a bit more and also doesn't have USB 3.0.